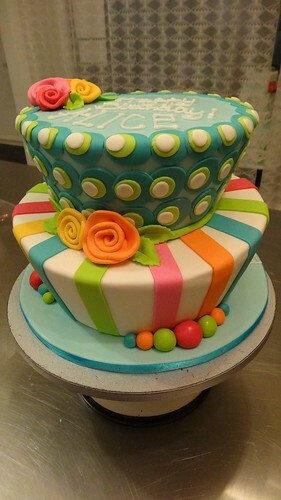 Mad Hatter Birthday cake, a photo by CAKE Amsterdam - Cakes by ZOBOT on Flickr. Topsy Turvy Mad Hatter Alice in Wonderland themed Birthday! Flavor : Red Velvet Cake with cream cheese frosting filling.